Since I've gotten the new mouse, I have been using my wacom more. How ironic is that? What I want now is probably a Wacom Cintiq 12WX. Which is a tablet lcd screen, if you didn't know. I think it would be the best and allow me to do 2d and 3d work faster with it. 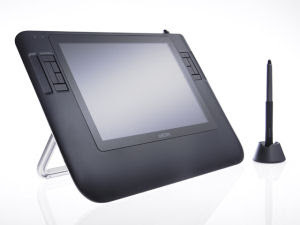 Still debating on whether or not I will get a new pc or this Cintiq first.